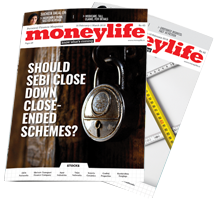 equity-linked saving schemes (ELSS) in an attempt to woo distributors. 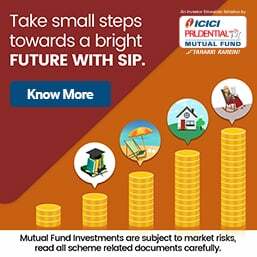 SBI Mutual Fund is giving an upfront brokerage of 2.25% for its Magnum Taxgain Fund which includes trail commission. No trail commission is paid for three years. Even Morgan Stanley is offering 2.5%-3% upfront commission for its diversified equity scheme, Morgan Stanley Growth Fund. ELSS schemes usually have a lock-in period of three years. In the belief that an investor would stay invested in the fund for the entire period, fund houses are passing on the commission in advance. According to industry sources, HDFC Mutual Fund is giving a three-year lump-sum commission of 3% upfront for its ELSS schemes. “HDFC has two tax-saving schemes. When the entry load was banned by the Securities and Exchange Board of India (SEBI), HDFC was giving 1.75% upfront commission and for the other scheme they were giving 4% upfront commission but no trail commission for three years,” said a certified financial planner (CFP). HDFC Mutual Fund declined to comment on the issue. Sources say that the upfront commission spells good news for distributors but the flipside is that investors may start demanding rebate from distributors especially during March, when people rush to put money in ELSS schemes. “The investor goes on a kickback shopping. Whoever gives the investor highest kickback, he will invest with him,” said an IFA. “There will be no long-term loyalty with the customer. The new broker will not get any commission because it’s paid in advance in case of ARN change. SEBI officials say that rebating should not be given,” said a source. If an investor opts to change his distributor, then the new distributor does not get the trail commission because it’s already paid in advance to the old distributor. Sometimes fund houses decide the terms of brokerage with the distributor. An email query sent to Morgan Stanley remained unanswered. They should just increase the Trial Fees and Get rid of all other commissions. Long Term Investors will stick on to funds and churn will be avoided. However, why isn't SEBI going after Insurance , especially ULIP agents ? There Lobby is too strong to break and IRDA the regulator itself is involved in it. God bless ULIP Investors. Exit loads should be removed. If an investor comes out within one yr, what he pays exit load neither distributor gets benefit from this nor investor. If an investor wish to come out within one month, what he pays 1% is a huge amount, which he paid including on principal (on that day NAV) not on profit. If it annualised it will 12%. Exit loads should be removed. Pl take this issue to SEBI to abolish this. Rather entry load 1% will be OK... So that distributors will alive and industry will alive.. It is very shocking that inspite of entry load ban by sebi mutual fund like hdfc is giving 3 to 4% commission to mutual fund agent. Facing a severe cash crunch, Air India has deferred payment of its March salary to employees by a week to 7th April, instead of the usual practice of paying it within the month, airline sources told PTI today. This is the second time in the recent past that the national carrier has had to defer salary payments. In June last year, it had postponed salaries by 15 days due to non-availability of funds. The cash crunch caused by the ongoing recession facing the aviation industry and other committed payments, including interest on the aircraft delivered, has led to the decision, these sources said. NACIL has been incurring losses since its inception with Rs2,226 crore loss in 2007-08 and about Rs5,500 crore loss in 2008-09. Diplomats said today that after months of deep uncertainty and market turmoil, France and Germany are backing a joint eurozone and International Monetary Fund bailout programme for Greece—and other financially troubled members of Europe's currency union, reports PTI. They were speaking on conditions of anonymity because details have not been agreed upon by all 16 nations that use the euro. Another diplomat said that an agreement could be announced later today at the EU leaders' summit after markets close. He said it would offer some €22 billion in aid for Greece, combining individual loans from the IMF and eurozone nations. No other officials mentioned an amount. The bankrupt bailing out the bankrupt! Euro will soon be worth nothing.